Leslie enjoys helping her clients buy and sell all types of homes, from cottages to castles and everything in-between. Leslie has lived most of her life in Boulder and as a CU grad, she knows the college community as well as what it is like to raise a family in Boulder. Sellers share that they enjoy working with Leslie because she helps them save time and money with detailed marketing programs and proven pre-listing systems. Leslie believes in taking the extra time to work together with Sellers to make sure that their homes create a fantastic first impression with the Buyers. Buyers enjoy working with Leslie because she is a plethora of information and knows the values in the County’s variety of neighborhoods. Leslie will give you the peace of mind that all of the details will be taken care of so you can focus on the important things…making your new house your home. 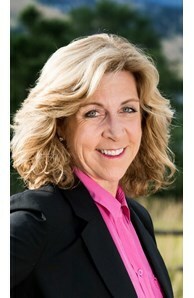 Leslie specializes in properties in and around Boulder County. And with her professional network, she can connect you with other great agents throughout Colorado and across the country.